The 2017 World Baseball Classic took place from March 6-22. The Meridian Center for Cultural Diplomacy, with support from the U.S. Embassy in Tokyo, is curating an exhibition highlighting U.S.-Japan baseball diplomacy that will debut in June. Baseball is arguably the most popular sport in Japan – the island nation is home to the largest professional baseball league outside of MLB in the United States. While the FIFA World Cup continues to be the most-watched sports event in the world, and professional basketball maintains its popularity overseas, baseball, “America’s pastime,” has been left relatively in the dark with regards to its international recognition. 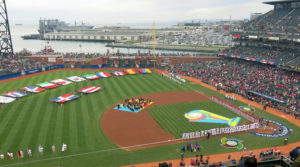 After being cut as an Olympic sport following the 2008 games in Beijing, baseball has been left with only one major international competition, the World Baseball Classic. 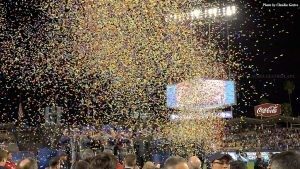 To most sports fans in the United States, the WBC is a non-event, meaning it has no large domestic following and relatively low television ratings. While the tournament this year featured 16 nations from five continents, the draw to this international competition was still quite small in the United States, compared to many of the other competing nations. Among the teams that participated in this year’s tournament were the United States, the 2013 champions the Dominican Republic, and two-time winner Japan. The WBC’s loose rules about player eligibility to join national teams make the Classic an interesting case study in global citizenship. Through the first week of play, the story of the tournament was the success of the competition’s biggest underdog, Israel. Entering the tournament ranked just 41st in the world, the Israeli National Baseball Team knocked off the 2013 champions, South Korea, and the fourth place finishers in 2013, The Netherlands. Through that first week, American players had many contributions to the tournament. Many of those U.S. players, however, played for the Israeli team. Many had never even visited Israel, the country that they were representing on an international stage. The Classic requires only that participants be eligible to become citizens of the country that they represent in the competition. Under Israel’s Law of Return, there is quite the broad definition of who is eligible to play for team Israel in the WBC. These rules have by no means only benefited the Israeli team. The national team from Great Britain was filled with Bahamian players whose parents were born on the Islands when they were still a British colony. 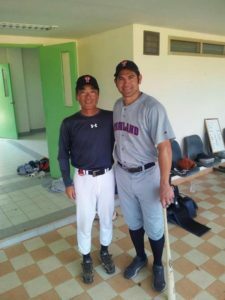 Johnny Damon, the former Red Sox and Yankees outfielder, also competed one year for team USA in 2006 before playing for Thailand in 2012 – he was eligible to participate for the Thai team because of his mother, who is a Thai citizen. Stay tuned in the upcoming months for more information about Meridian’s baseball diplomacy exhibition in Japan. 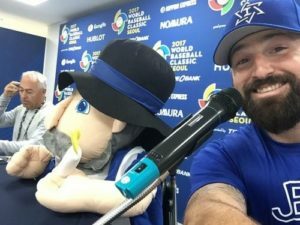 The United States and Japan, two countries rich in historical ties and their love for baseball, have a long history of cultural exchange using the sport of baseball as its tool for bridging cultural gaps. POST TAGS: Cultural Diplomacy, International Exchange, Soft Power, Sports Diplomacy.